For an African-American to visit and become an inquirer of Eastern Orthodoxy can seem a lonely challenge. Most white people do not bother to explore this ancient form of the Christian faith. Many Orthodox Churches are not located in predominately black neighborhoods. Seminary educated ministers do not spend much time studying the ancient faith as their task is more geared to serve the AME, Baptist, COGIC, and other denominations. Some friends and relatives may consider you a bit strange. While the journey may be a bit lonely, you are not alone. One of the most unique concepts in Orthodoxy is the recognition of the saints. To us, the great men and women of the faith are real, they are with us, watch over us, and pray for us. Moses the Black, Mary of Egypt, Cyprian of Carthage, Athanasius the Great; these and many others are in the “Great Cloud of Witnesses” that all Orthodox Christians recognize and venerate. Perhaps in the church you attend, someone bows to and kisses the icon of an African saint. Because of this, do not be surprised when members of the congregation offer you a warm welcome and friendship. Of course, there are some hyper-ethnic congregations that do not welcome (even many white) new-comers. But, most Orthodox believers are well aware that the first congregation that was called, “Christian,” had blacks in their leadership and that the first non-Jew that was baptized was an Ethiopian. The human being is regarded as the greatest icon in the church because we are all made by God. Orthodox believers (should) recognize your attendance in worship is a sign that the church is to be what is was in the beginning. The church aims to be the great multitude worshiping in heaven that John saw in Revelation. There is a small, but growing number of African-Americans who have found a deep and rich spirituality in the Orthodox Church and that light brown to dark skinned Africans were in the faith from the very beginning. Pioneers like Fr. Moses Berry to newbies like myself are a part of an encouraging fellowship of believers of all races and jurisdictions (including Coptics and Ethiopians). Or purpose to spread the Gospel Message to all people in its most authentic and consistent form. 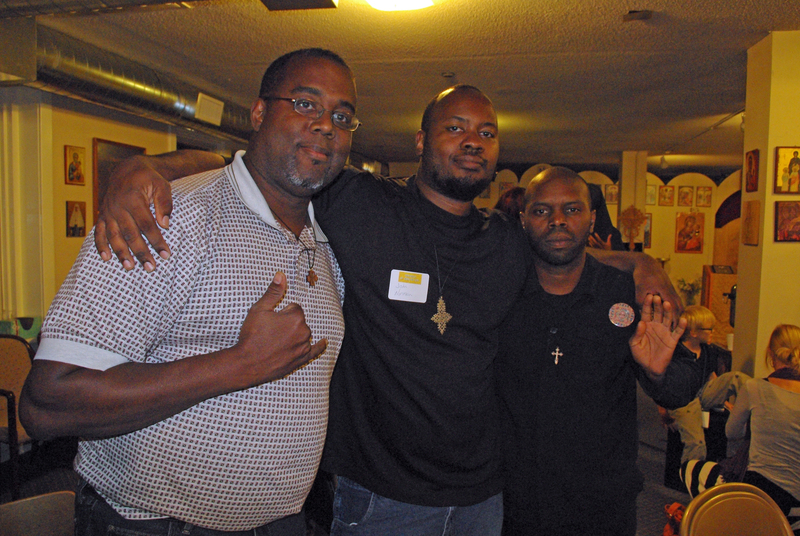 A network of believers, Black Orthodox Christians, exist on Facebook. If you appreciate learning about the African foundations of Christianity, acknowledge the saints that look like you, enjoy the fellowship with people of all races, and wish to deny yourself, carry your cross, and follow Jesus in the tradition that has been handed down by the apostles and early church fathers for the past 2,000, you are not alone.